Mike Papantonio is a truth-teller, a crusader who uses fiction to entertain and inform his readers about some of the most pressing issues of our time. In each of his thrillers, from Law And Disorder to Law And Vengeance, and now Law And Addiction, he lays bare the conspiracies and white-collar crimes that hurt ordinary Americans — and that are rarely covered by the national media. A senior partner of Levin Papantonio, one of the country’s largest plaintiffs’ law firms, Papantonio uses his own cases as springboards for his novels. He has aggressively taken on Big Pharma, tobacco, weapons manufacturers, and the automobile industry, among other bastions of corporate greed. One of the youngest inductees into the Trial Lawyer Hall of Fame, Papantonio is also a well-known media presence as host of America’s Lawyer on the RT America television network and co-host of the syndicated radio show Ring of Fire. A skilled musician and athlete, he is based in Pensacola, Florida. A New Thriller From Mike Papantonio Pulls Back The Curtain On America’s Opioid Epidemic. 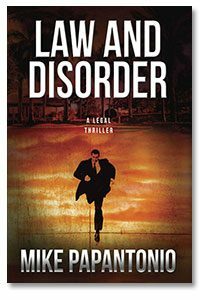 Law And Disorder is not only a legal thriller in true Grisham style—it is also an excellent window into the total dysfunction of the justice system. I literally couldn’t put it down. The multidimensional brilliance of Mike Papantonio shines brightly through this can’t-put-it-down legal thriller. For a deep dive into law and politics, power and those who fight it, and the very human conflicts that drive and tear at us all, read Law And Disorder. The legal maneuvering, courtroom drama, and brisk pace make this a satisfying tale of greed, corruption, lust, and murder. 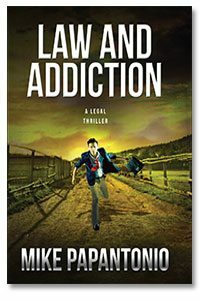 I’ve read other legal thrillers by Mike Papantonio so was excited for Law And Addiction. It did not disappoint! His suspenseful novels always have realistic details, since the author is a respected lawyer who takes on cases involving corporate crime. I’m now hooked. I know (or I hope) that Deke is not done. I’m waiting for the next one, to see what facet of the American legal system Deke will take on, and how he’ll do it. Time to move over, Grisham. 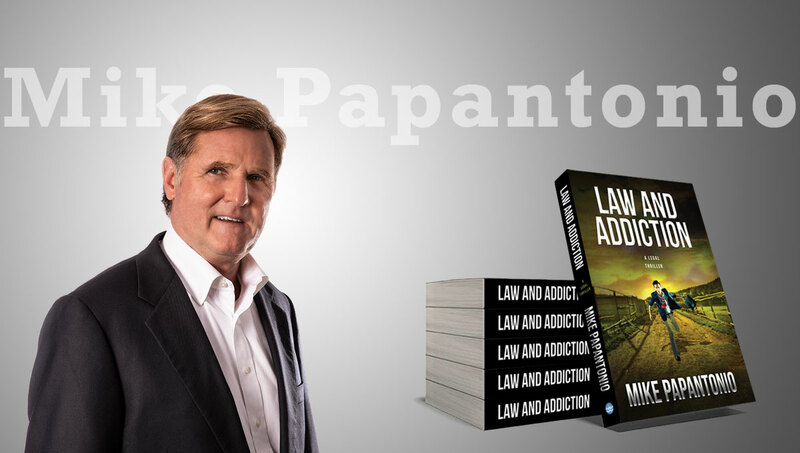 Kudos to Mike Papantonio, author of Law And Addiction for writing such a captivating, intriguing, enthralling, suspenseful, page-turning, riveting, unpredictable, and thought-provoking novel . . . I couldn’t put this book down. Many things seem so shocking. I would highly recommend (Law And Addiction) for those readers who enjoy an action-packed thriller that leaves you thinking. A masterpiece . . . this gripping story of greed, guts, corruption and the underbelly of the criminal justice system in our country is not only a page-turner, it is also a must-read for anyone who cares about human rights and truth. Mike Papantonio’s Law And Disorder is an eye-opener. This is a legal thriller that edifies. Papantonio recasts the role of mass tort lawyers . . . as heroes and the last defense against corporate money and vested interests. In his legal career the author has walked the walk; now he successfully talks the talk in this compelling David vs. Goliath story. 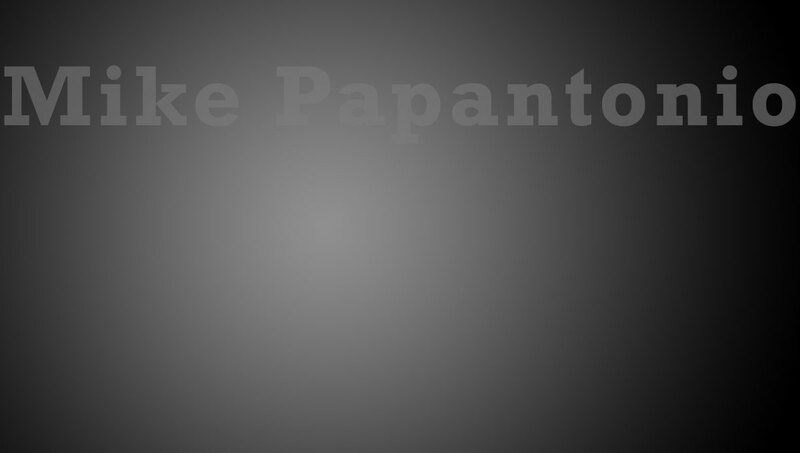 Mike Papantonio is an author who knows his subject like no one else does . . . Not only is this a can't-put-down thriller but the reader will gain insight into the power of the petrochemical/pharmaceutical industry and the lengths they will go to destroy anyone who stands in the way of their insatiable lust for profit. A Testament On How To Challenge And Rollback The Opioid Epidemic Still Facing The Nation. Law And Addiction will not only satisfy readers who devour thrillers, but also stands as a testament on how to challenge and rollback the opioid epidemic still facing the nation. The reader gains a vested awareness in the case, characters are well fleshed, including that of the antagonist, and the legal sequences are interesting. Surely the author won’t let the villain escape—but you’ll just have to read for yourself—as Papantonio brings the climax to a satisfying conclusion. This is the second book I have read by the author and once again I enjoyed his writing and this book. 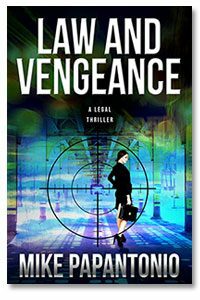 If you are a fan of legal thrillers, I think you will enjoy Law and Vengeance. Law and Vengeance is a brilliant web of relationships and intrigue that will captivate anyone interested in the challenges of criminal justice in our modern culture. Mike Papantonio offers the rare combination of a top-flight trial lawyer who can write with a high level of skill, and spin a yarn right up there with John Grisham and David Baldacci.